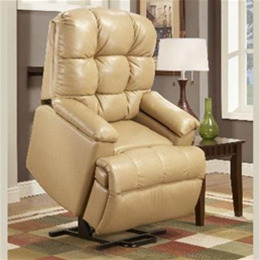 This top of the line model offers everything a lift chair can offer. The 5600 provides all the features of the 55 series but in a larger version. Standard with heavy duty low volt DC motor with battery back-up. You also get extra storage with compartments built in to the arms. Adjustable fold out table now standard! Reclined height of footboard: 20"